Description Cooking with the kids can be fun. This fully illustrated cookbook is packed with foolproof recipes that will impress all ages - from a basic PIZZA BASE, delicious PANCAKES to the classic AFGHANS - you'll be able to show your children how much fun they can have while making their own food. With recipes and hints for all occasions, this is the cookbook every aspiring young chef needs. Author Biography The Edmonds brand is known and trusted by New Zealanders. 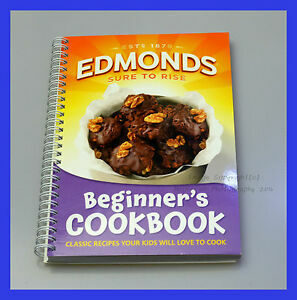 Since 1907 the Edmonds Cookery Book has been providing 'economical recipes and cooking hints'. This title remains in the bestseller lists today.